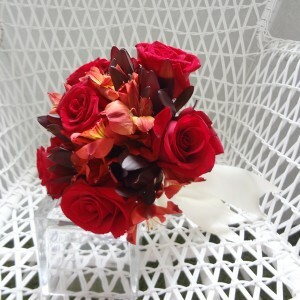 The red roses are paired with feisty-coloured alstromerias and safari sunset leucadendrons. 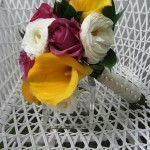 The stems are wrapped with champagne ribbon in French pleats. 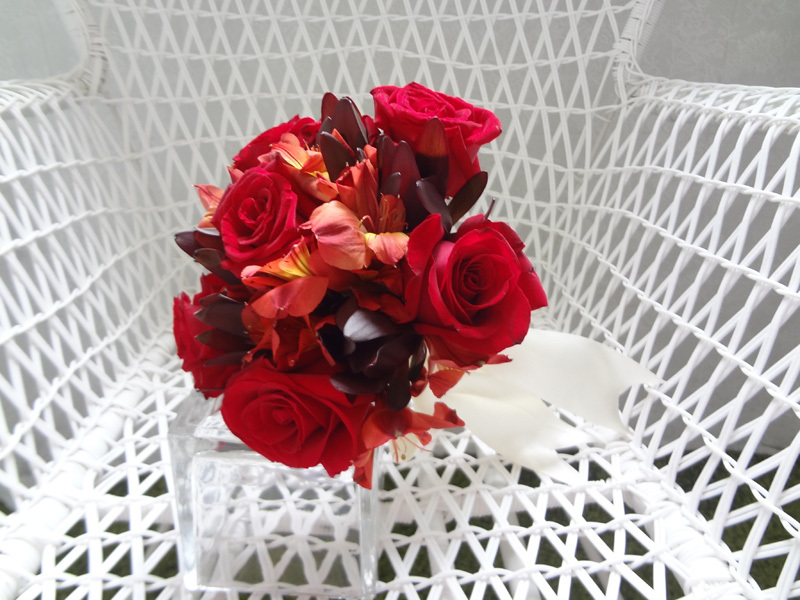 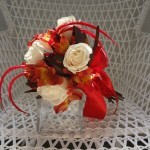 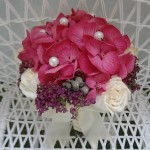 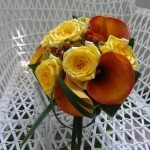 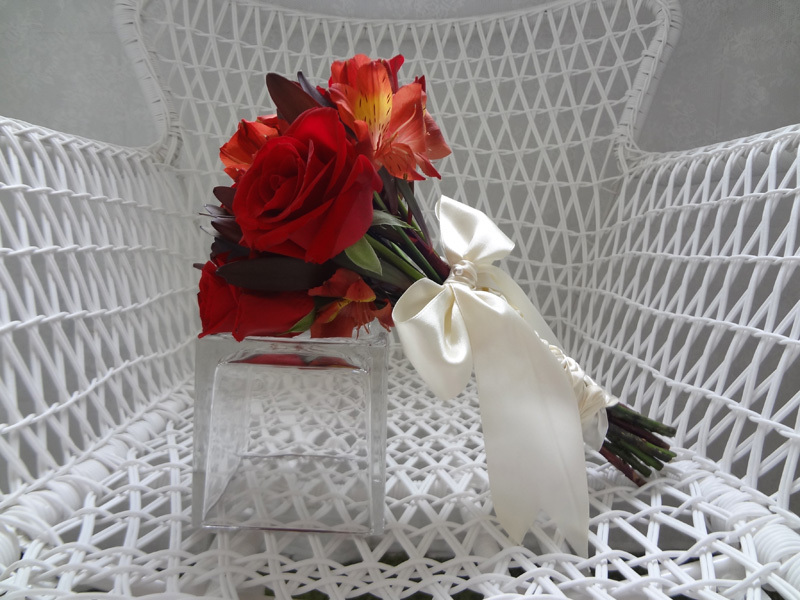 This fire-engine red bouquet is for the bride who is fearless and confident of herself.